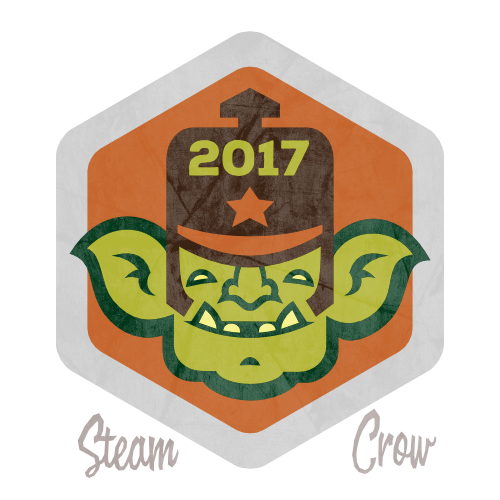 The Copper Goblin Membership Badge shows that you were a supporter of Steam Crow in 2017. This Spirit Badge was a featured reward for our 2017 Monster Scouts Membership Drive Kickstarter. The Copper Goblin Spirit Badge is worth 25 Glory points. Goblins are hard-working, productive members of Obscurian society. Also, they deliver our Monster Rangers packages, so we had to put this here.